The Hi-Tec Eurotrek hiking boot is an exemplary choice as it not only keeps your feet dry and comfortable, its light weight makes hiking a pleasure. Therefore, you can enjoy nature in all its grandeur without any complaints heard from your feet. 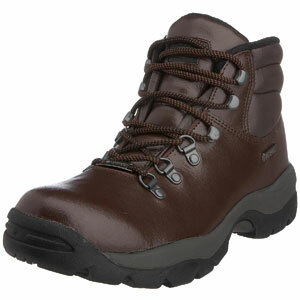 The hiking boot, which is available in brown or black, is made of waterproof leather and a lining that is resilient to damp conditions and soggy terrains.